Added on March 20, 2012 by PS Cat02. 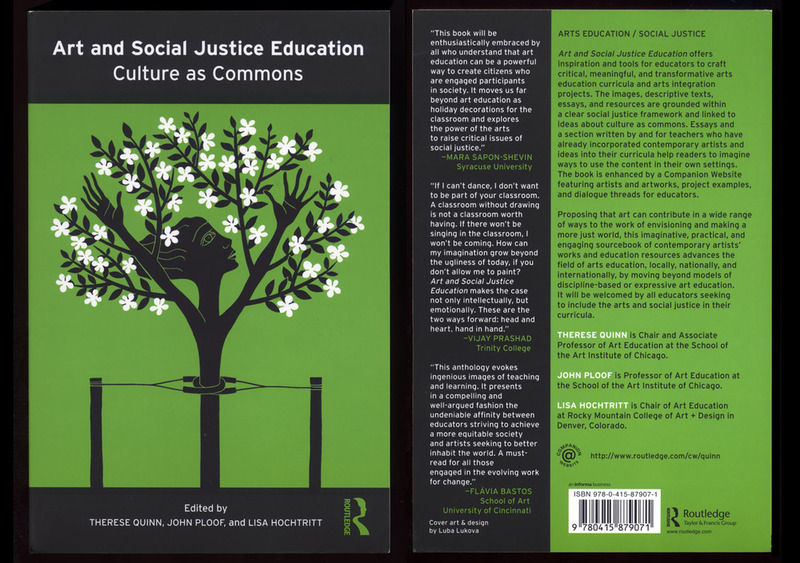 There's a new book out titled Art and Social Justice Education: Culture as Commons. If you're into not sucking as a teacher you should probably read it. I haven't read it myself but if we're in this book it must be good. Skimming the index, I see the Pinky Show is on pages 99, 104-106, and 190. Therese Quinn, art education professor at The Art Institute of Chicago and one of the editors of the book, was the person who contacted us about being included in the project. She was super nice to work with, keeping us informed about the book's progress and even sending us a complimentary copy of the book when it was completed. It's always fun for me to see our work in print. But I'm disappointed that it's actually a pretty expensive book - right now I see it at Amazon.com for $45 (list price is $50) - so if you can't afford to buy a copy hopefully you can check it out at a library, assuming the one near where you live hasn't already been shut down due to "budget cuts" or whatever. The book does have a lot of pictures in it though, some in color, so I guess that probably adds to the cost of printing. It's 200 pages thick and does have a lot of examples of artists and projects that I'm sure you will like (assuming you aren't at our website by accident). I haven't read eveything but I did look at all the pictures already; they're good. Click on the picture on make it big, then you can read the words.